Desi Arnaz’s incredible life story - in his own words. 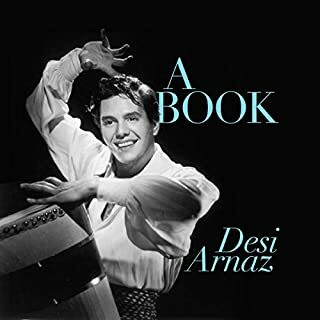 Desi Arnaz’s memoir tells the story of how a kid from Cuba hit the big time in the United States. It’s all here - the good, the bad, the beautiful, the ugly, the lucky breaks, and the heartbreaking failures. Jess Oppenheimer, "the brains" behind I Love Lucy, gives us an insider's view of this groundbreaking show, generously interspersed with recordings of classic Lucy radio and TV comedy performances - including her famous "Vitameatavegamin" routine. 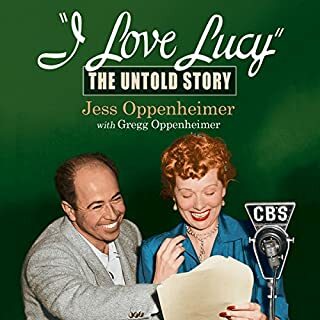 Oppenheimer weaves a wonderfully entertaining tale of the creation of this landmark series and its evolution from Lucy's hit radio sitcom, My Favorite Husband. Lucy aficionados will delight in his personal accounts of stars like Desi Arnaz, William Frawley, Vivian Vance, and of course, Lucille Ball. My Favorite Husband hit the CBS Radio airwaves in 1948, starring Lucille Ball and Richard Denningas Liz and George Cugat - who later became Liz and George Cooper when confusion with bandleader Xavier Cugat prompted a name change. Set in the fictitious town of Sheridan Falls, the show follows the happily married couple, residents of 321 Bundy Drive, through mischief and various predicaments, from faked illnesses to trouble with exes. Few people knew America's comic sweetheart Lucille Ball the way Lee Tannen did. Lee first met Lucy as a child but cemented their close and enduring friendship as an adult. During the last 10 years of Lucy's life - years mostly lived out of the spotlight and mainly around a backgammon table in New York; Beverly Hills; Snowmass, Colorado; and Palm Springs - Lee was fortunate enough to be sitting opposite Lucy. In this luminous memoir, Rita Moreno shares her remarkable journey from a young girl with simple beginnings in Puerto Rico to Hollywood legend - and one of the few performers, and the only Hispanic, to win an Oscar, Grammy, Tony, and two Emmys. Born Rosita Dolores Alverio in the idyll of Puerto Rico, Moreno, at age five, embarked on a harrowing sea voyage with her mother and wound up in the harsh barrios of the Bronx, where she discovered dancing, singing, and acting as ways to escape a tumultuous childhood. In 20 years of show business, Lucille Ball had only modest and sporadic success. 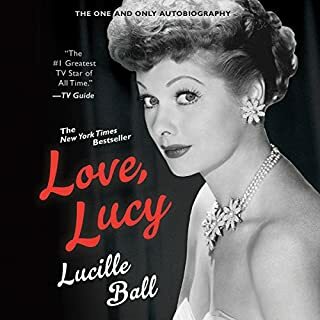 Her television program, I Love Lucy, was her last chance to fulfill the ambition that had sustained her through the frustrations of her professional life and the anguish of a failing marriage. The role of Lucy Ricardo revealed her true gifts, but it changed her life immeasurably, and the remarkable individual who was Lucille Ball became slowly obscured in the shadows of Lucy. This definitive portrait of Lucille Ball is based on the recollections of fellow performers, including Milton Berle, Ginger Rogers, Bob Hope, and Katherine Hepburn; her closest friends and family; and Lucille herself. 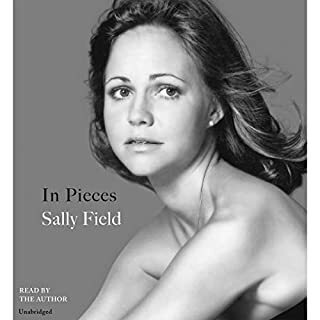 From her childhood, when her virtual abandonment instilled in her a relentless drive for love and attention, through her struggling years in Hollywood and her troubled relationship with Desi Arnaz, Brady vividly recounts the story of this passionate and vulnerable woman. Love Lucy? Search our list of classic radio shows featuring Lucille Ball. ©1994 Kathleen Brady (P)1996 Blackstone Audio Inc. 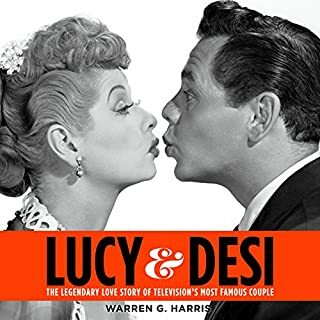 While you'll learn nothing new in this well-crafted look at a TV icon and entire era, if you're a fan of Lucy, Desi and all the rest, you'll smile nostalgically at the facts you've known for a long, long time. Worth a listen if for nothing more than a friendly walk down memory lane. Yes. It gave me an insight to who Lucille Ball was and her challeges and comedic genius. What other book might you compare Lucille to and why? The Life and Time of Charlie Chaplin. What about C. M. Hébert’s performance did you like? She was okay. It took me a while to get use to her sleepy style voice. But, the more I got into the book, the more I got into the story and not her voice. You need more books on comedian biography. I just downloaded an Abbott and Costello book, and was disappointed that it wasn't a story, but instead, it was their radio show, which I'm enjoying. But, I prefer a story. There are so many great comedians, like Red Skelton, Milton Berle, Laurel and Hardy, Fanny Brice, Mabel Normand (which in the Chaplin book, it was covered a little). Thank you. Not even for my love of Lucy can I overlook yet another ill-prepared reading of a book. Helen Brady, the performer for "Lucille: The Life of Lucille Ball" may be able to roll her R's for "arroz con pollo" but "cringingly" mispronounces general accepted names such as Garson Kanin as "Garson Cannon". Pantages, rather than with the expected emphasis on the second syllable, has the emphasis on the first, requiring the listener to rewind or playback to make sure they heard it correctly. Are there editorial/performance meetings before such recordings? At least with the author performing their own work you know that however they pronounce something it is uniquely them. When a hired performer reads another's work, listeners who purchase/license work have some expectation of more than a soothing, modulated voice. We want accurate phrasing and pronunciation. Enjoyed reading about how she started. Lot of things I learned about her history. I've always been a fan! Good on the beloved Lucille Ball! I lot of the information I already knew. I learned most information on her after the Lucy shows. 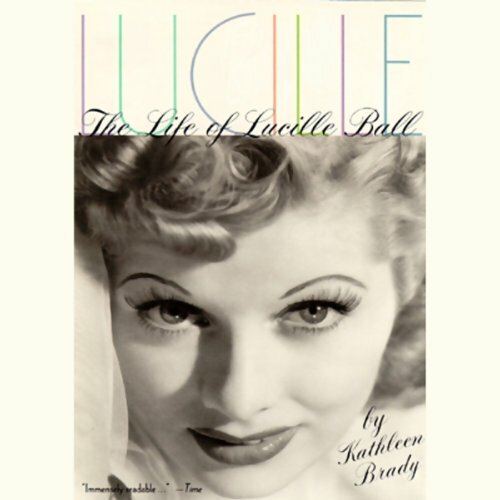 As presented in this biography, Lucille Ball's life was interesting, but not exceptional, if for no other reason than that she was an amazingly ordinary woman - much like her alter ego Lucy Ricardo. Only through her brilliance as a comedian was she able to transcend her personal limitations. The author writes well and the narrator presents her words in a competent, low key manner. Good job. Would you consider the audio edition of Lucille to be better than the print version? Audio as it can be used on the go. I prefer to curl up with a good audio device. I enjoyed the insight on the rarely discussed business side of Desilu. Both Lucy and Desi were shrewd managers of their empire. As others have written, Lucy's children do not come across in the best light. Thorough study with perfect narrator. I really enjoyed this book. She was a real person, very strong really who was surprisingly unhappy. Not miserable, just unhappy. She got totally ripped off but what was dealt to her and one can only wonder what might have happened had her husband been a real husband. what a "ball" of a fire!! Very insightful. It was such as revelation to finally find out so many things I was curious about. Her tumultuous relationship with desi Arnez Jr., Vivian Vance most of all dimiss behind the legend. this book was excellent! well read, well written and a must read! The book is very well researched out. Dates, places and people are all organized in chronological order and presented in a halfway interesting manner. It impressed me the detail the author had gone to. Was kind of surprised at some of the language used in it, and some of the other things she did that are quite against my own personal religious beliefs. 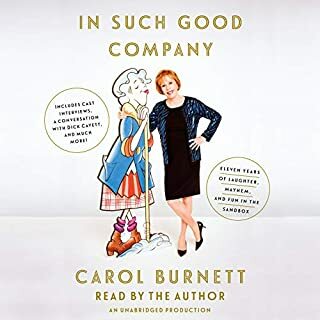 Still, if you want to know about the life of Lucille Ball Arnaz, this isn't a bad book to listen to. Since I grew up watching her shows, I was curious. For me, it seems difficult to find "decent" books to listen to. My first and favorite so far is "Gone with the Wind".